Free fortune tellers on line could be classified as the metaphysical fast food answer to life’s challenges, the espresso coffee solution to everyday problems. 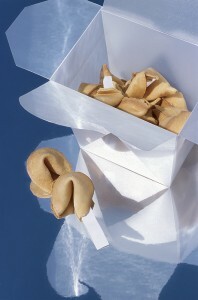 Free fortune tellers online are mechanized readings that lead us down the “rapids” of existence. Free fortune tellers on line help us “in the moment” with a fairground style prediction but cannot offer us the significant silence before the heartfelt prophecy that the valid Medium, Psychic or intuitive utilises in her readings. Even if we are left sitting on the edge of our seats the genuine Psychic experience is far more intriguing if the mystic waits a few seconds before delivering a reply. In fact, we often miss the brief hiatus of the genuine Clairvoyant when we utilise the speedier free fortune tellers on line. You see, instead of rushing to answer an enquiry, the spiritual person ponders, taking a few deep breaths before processing a situation. These are not “awkward moments” these “silences” are a spiritual practice that helps the intuitive stay focussed on Spirit. There is nothing “fast food” about the truth. So why don’t you stop to ponder before speaking? Instead of coming up with the same old “Speedy Gonzalez” retort, suspend time zones. Have you noticed how we miss out on the power of silence, which includes contemplation and a temporary halt to the rush? How strong and wise we would be if we gave ourselves a few seconds to come up with a reply. “Where are my keys honey?” We pause, we take a deep breath and rather than scream “how the blazes should I know?” we reply “I saw them on the kitchen table sweetheart?” What input, what wisdom, how awesome we would seem if we paced our answers rather than always rushing in “where angels fear to tread”. Have you noticed how a quick Free Fortune tellers online answer can confuse us just as a badly thought out retort can ruin our day? We put our foot in it; we talk too fast and too frequently. We have opinions on everything and others rarely listen to us. Usually we are misunderstood because we do not think before we speak; in fact we are inclined to drop one clanger after another. If we just stopped for a couple of seconds, if we just paced our thoughts leaving a few seconds between each “come back” to balance concentration, we would avoid unkind, inappropriate or downright rude replies that often come back to haunt us. The deathbed goodbye, the declarations of love, the psychic prophecy are significant words that have long term effects, and they are never said fast! “Darling I adore you”, is usually spoken after a moment of pregnant silence.